There's really only one rule in Munchkin: win the game at all costs. If that means betraying the player you just partnered up with (even if it is via the Kneepads of Allure) to get to level 10, then so be it. Making that move requires ruthless cunning and the right cards, the latter of which BOOM! Studios might be able to help with. 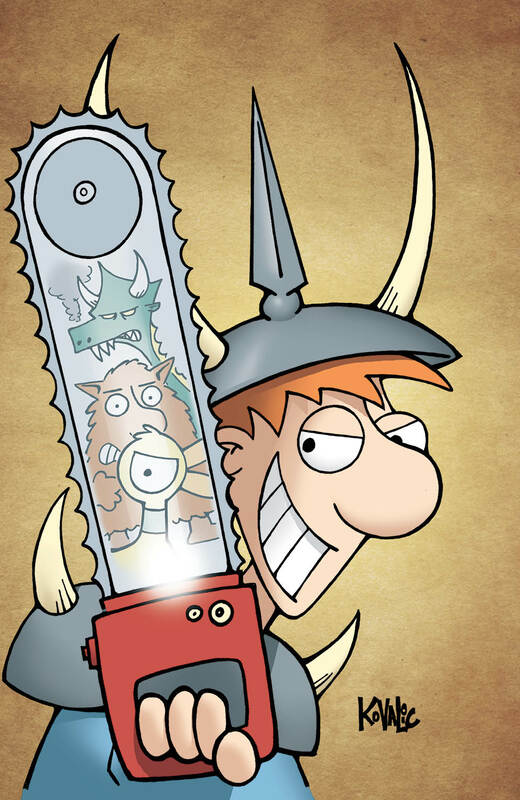 This January, when Munchkin #1 by Tom Siddell, John Kovalic, Mike Holmes and Rian Sygh hits stores, those who pick up a first-printing copy of the comic will include a brand-new exclusive card that can be used in the game! 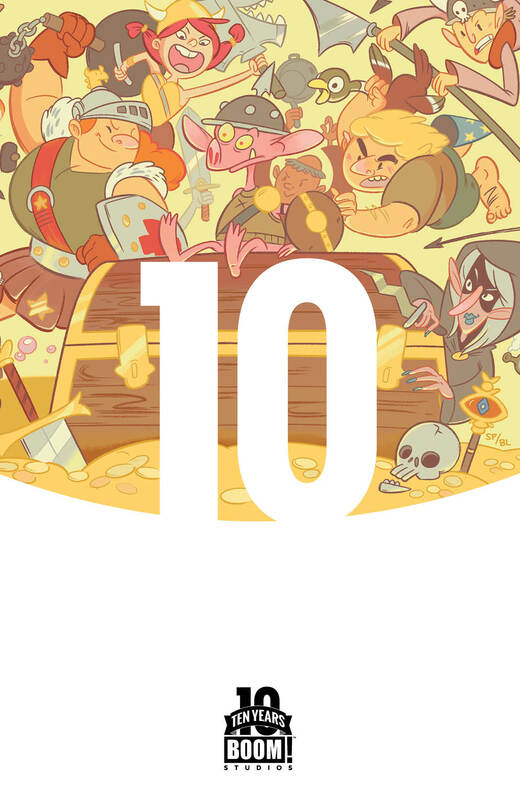 Munchkin #1 arrives in comic shops from BOOM! Box on January 28th with a cover price of $3.99 under Diamond order code NOV141115. 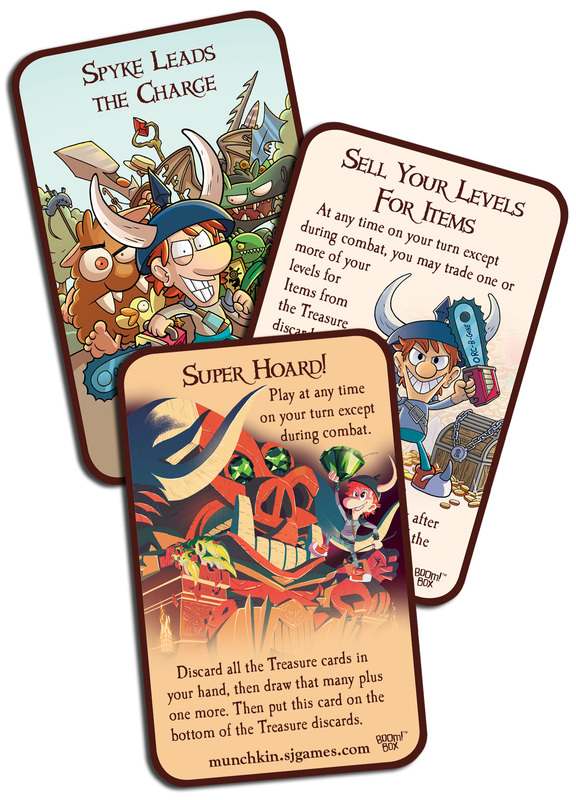 Every copy of the first printing includes an exclusive brand-new Munchkin card able to be used in the game. 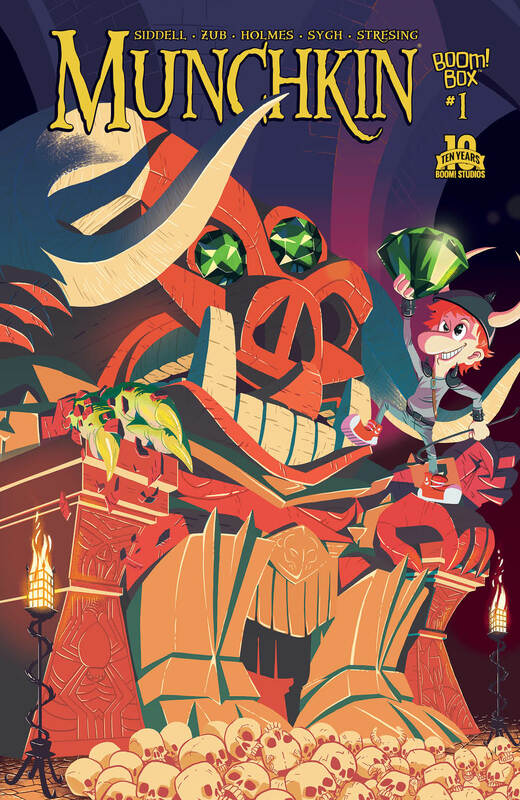 The main cover is illustrated by Ian McGinty, with a 1-in-99 “Jackpot” variant cover by Evan Palmer, a 10 Years Anniversary incentive cover by Shelli Paroline and Braden Lamb and a retailer incentive cover by John Kovalic. The Final Order Cutoff deadline for retailers is January 5th. December 31, 2014 (Los Angeles, Calif.) - Kick open the door! Kill the monster! Steal the treasure! 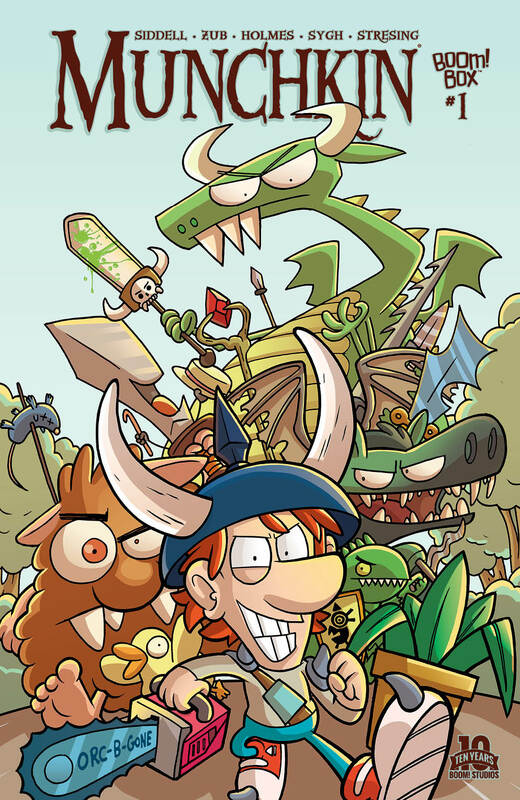 The world of Munchkin is coming to comics! BOOM! Box, an imprint of award-winning publisher BOOM! Studios, is thrilled to announce the January debut of the new ongoing series Munchkin, based on the best-selling card game about dungeon adventure created by Steve Jackson Games. Every first-printing copy of the comic will include a brand-new exclusive card that can be used in the game!